The south wall of the David Wills House parlor has two static displays and a video display over the fireplace. The door on the right leads to David Wills’ Office. This view was taken facing southwest at approximately 4:15 PM on Wednesday, February 18, 2009. We continue our tour of the interior of the Wills House parlor by viewing the south wall. 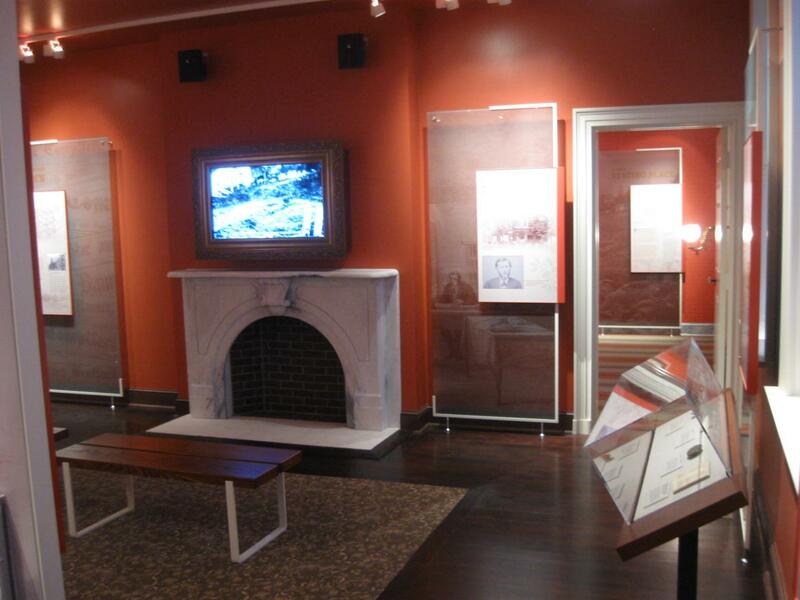 The wall has two “static” displays, a video display above the fireplace, and the door leading to David Wills’ Office. Lincoln ate dinner in the parlor with 37 other individuals the night of November 18, 1863. 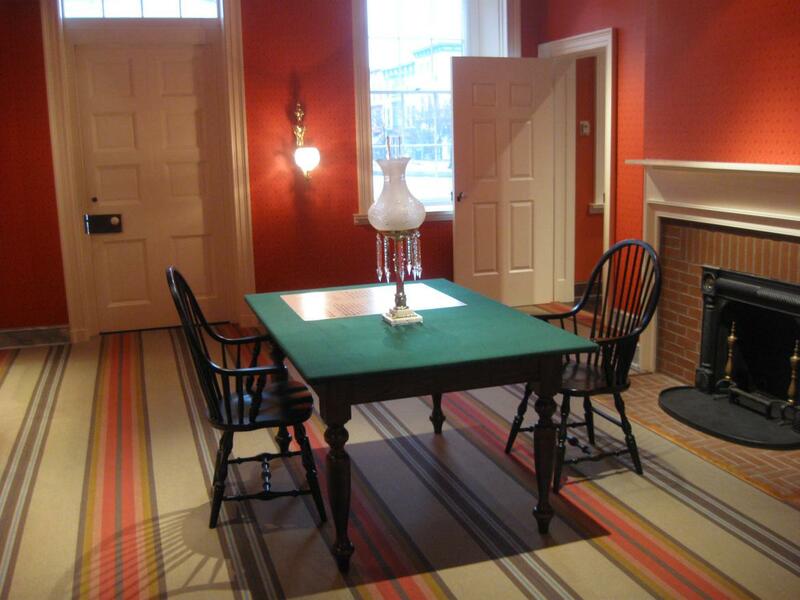 An informal reception was held in this room on the morning of November 19, 1863 before Lincoln left for the cemetery, and a luncheon was held in this room for Lincoln and other distinguished guests after they returned from the Cemetery that afternoon. Over the next couple of posts we’ll stay on the first floor. 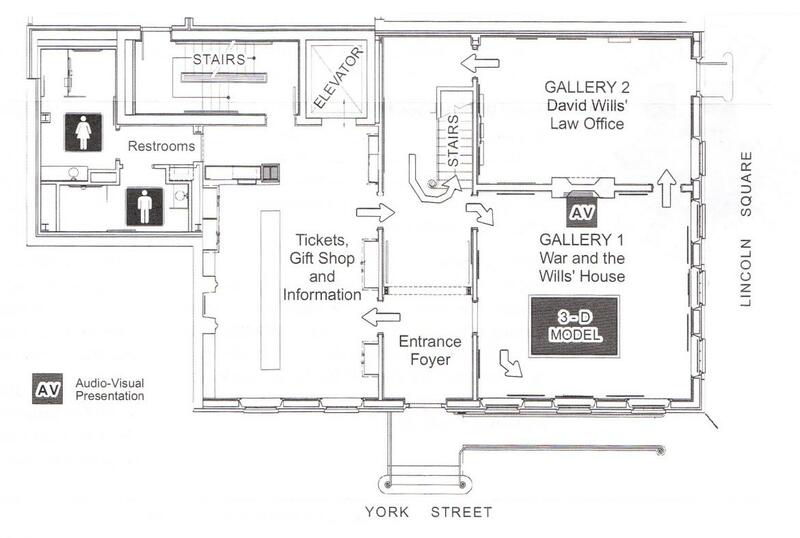 Today we’re in the Wills Parlor, which is labeled “Gallery One, War and the Wills House.” This map is from the Wills House brochure which was scanned while we were facing south at approximately 7:00 PM on Wednesday, February 18, 2009. We’ll begin with the display to the left of (east of) the fireplace. Its heading is “A Crossroads Town.” This view was taken facing south at approximately 4:15 PM on Wednesday, February 18, 2009. Here’s the top of the panel. 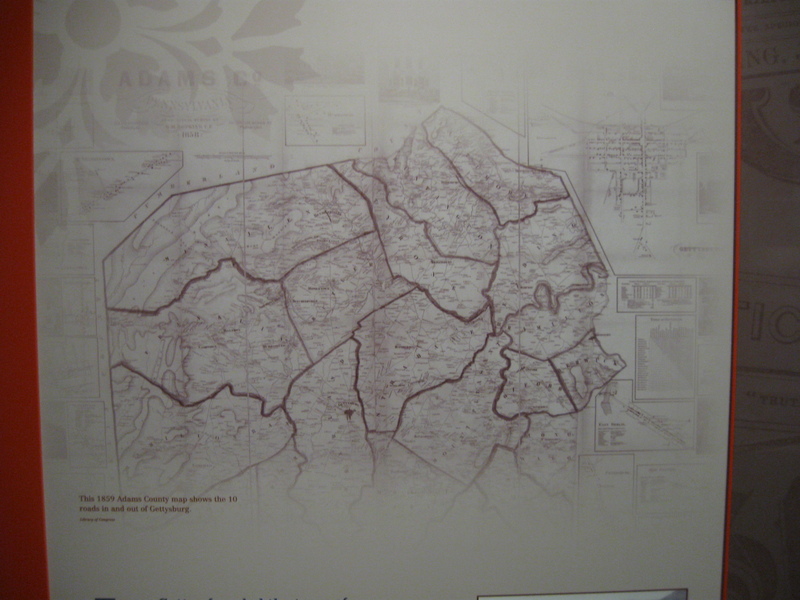 This is an image of the 1858 Adams County “Wall Map.” The panel display incorrectly states the map was produced in 1859. This view was taken facing south at approximately 4:15 PM on Wednesday, February 18, 2009. The bottom of the panel gives a general background of the town before the battle. This view was taken facing south at approximately 4:15 PM on Wednesday, February 18, 2009. Above the fireplace and mantle is not a framed mirror. It is actually a framed video screen. This view was taken facing southwest at approximately 4:15 PM on Wednesday, February 18, 2009. Here is a couple of minutes from the five minute video shown in the Wills Parlor. It is a general history of the dedication of the Soldiers National Cemetery. This view was taken facing southwest at approximately 4:15 PM on Wednesday, February 18, 2009. 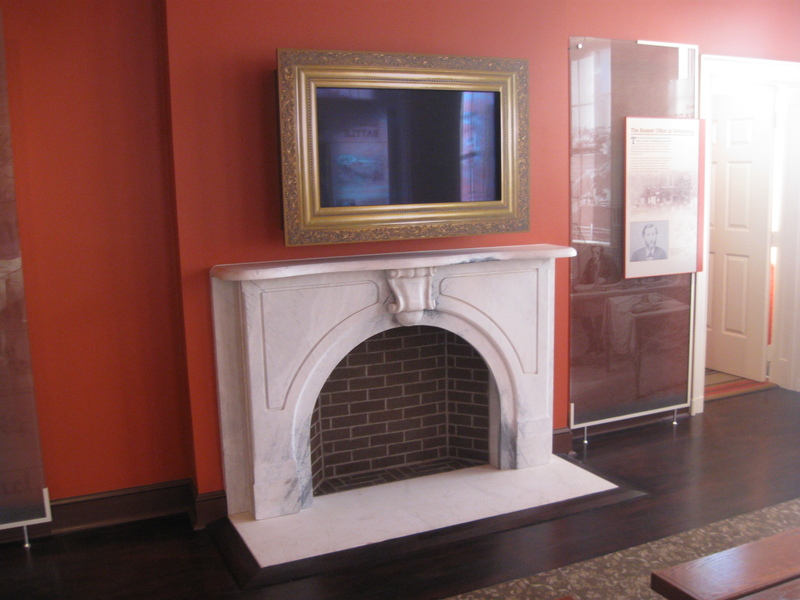 The display to the right of the fireplace describes David Wills Office. 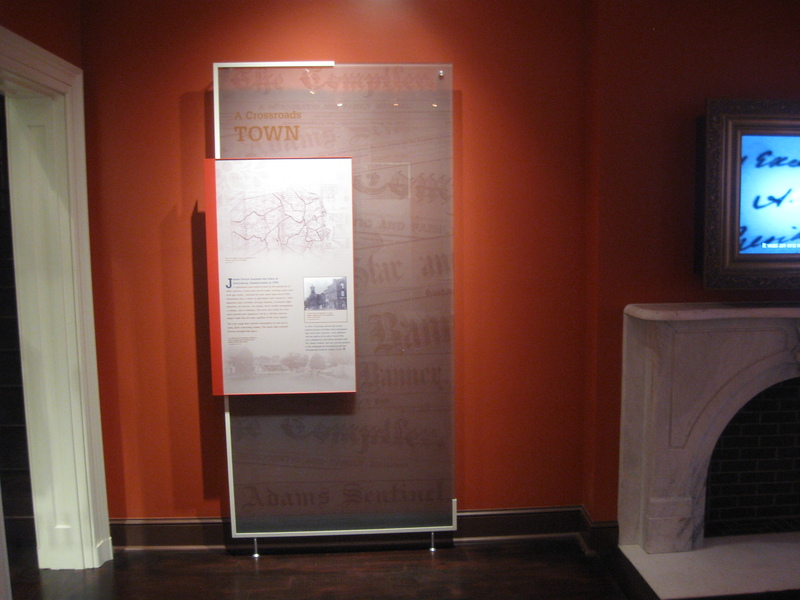 The entrance to the office is to the right of (west of) the display. This view was taken facing south at approximately 4:15 PM on Wednesday, February 18, 2009. The top of the display tells you that the next room will be the office. This view was taken facing south at approximately 4:15 PM on Wednesday, February 18, 2009. 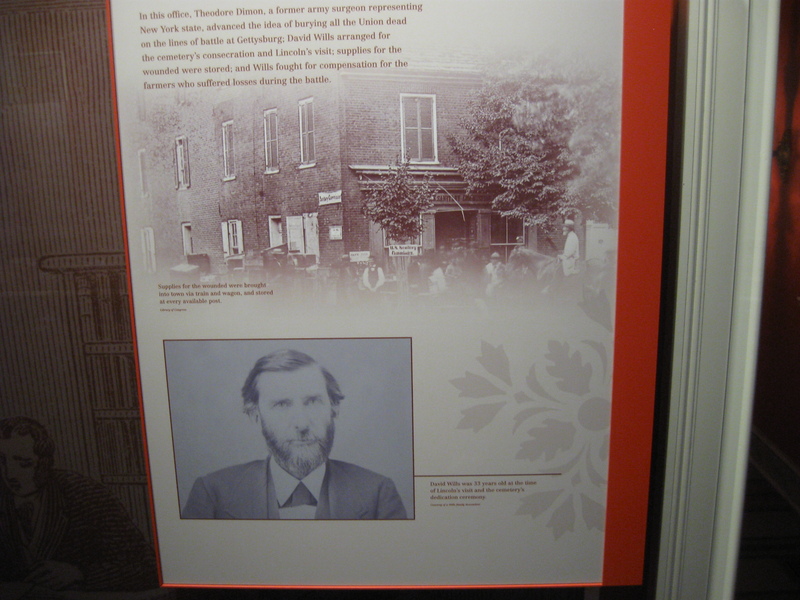 The bottom of the display shows the Fahnestock Building at the corner of Baltimore Street and Middle Street, and a photograph of David Wills. This view was taken facing south at approximately 4:15 PM on Wednesday, February 18, 2009. 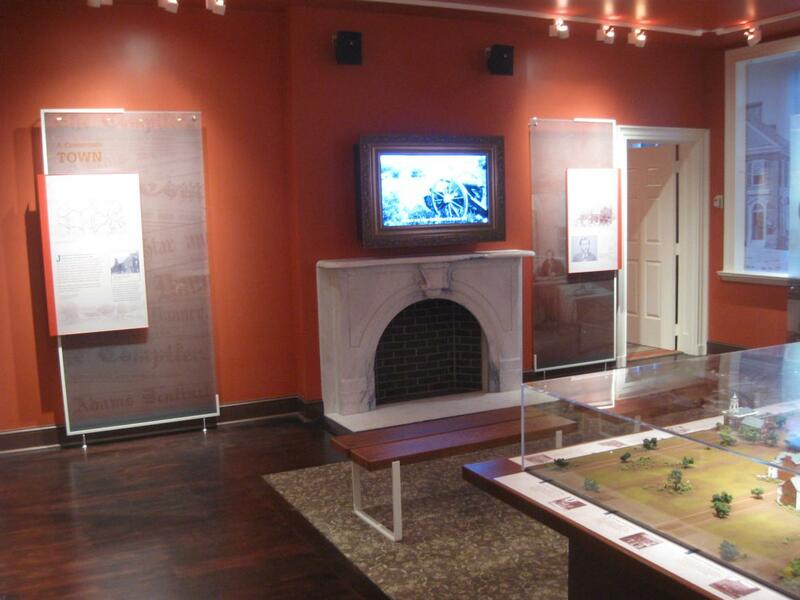 A closer view of the Fahnestock Building section of the display. This view was taken facing south at approximately 4:15 PM on Wednesday, February 18, 2009. 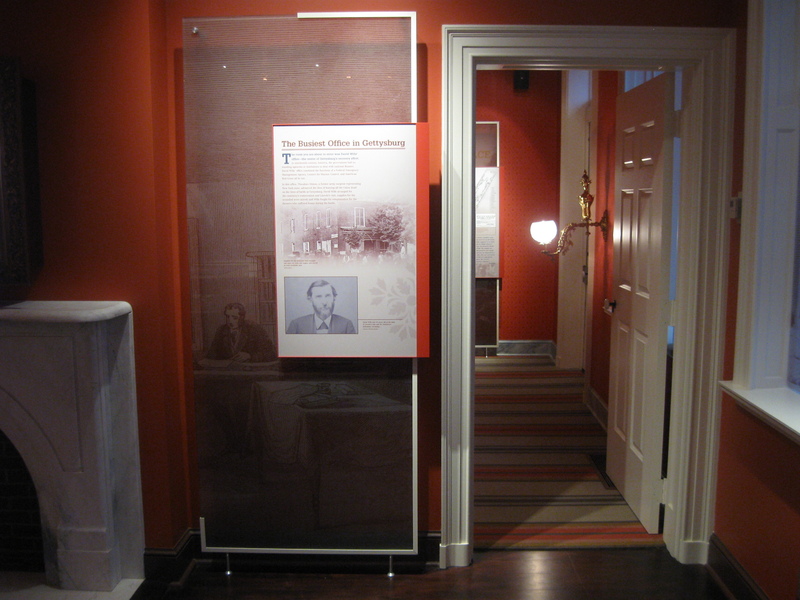 A closer view of the photograph of David Wills at the bottom of the display. This view was taken facing south at approximately 4:15 PM on Wednesday, February 18, 2009. 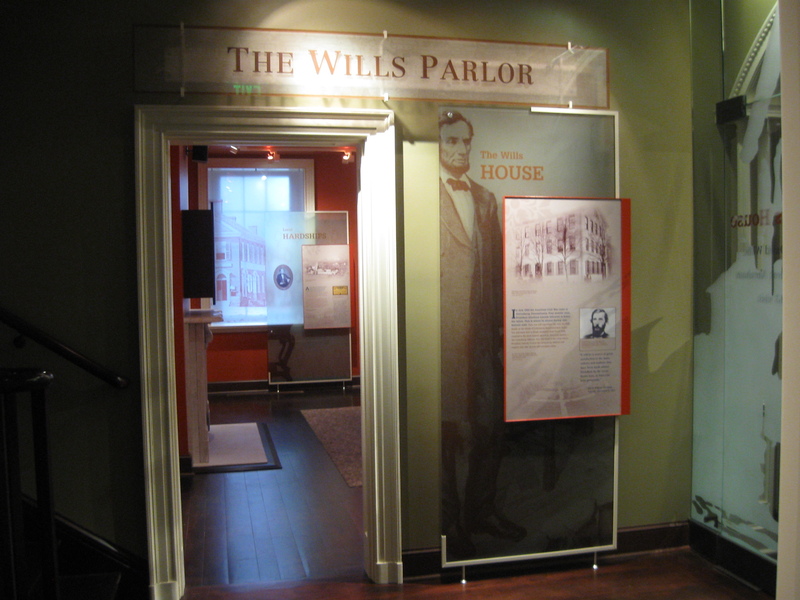 The Wills Parlor hosted President Lincoln in an informal reception the morning of November 19, 1863. The north wall of the Wills Parlor are the three green shuttered windows to the right of the front door facing York Street. 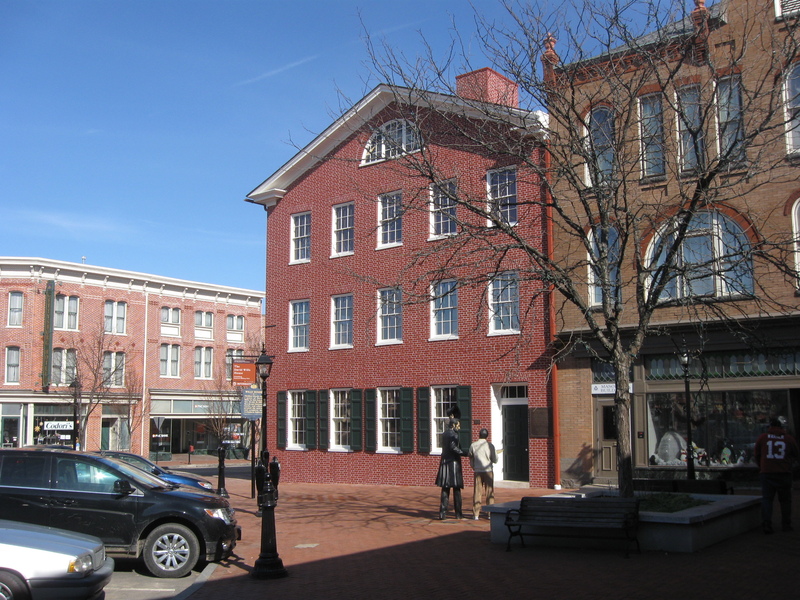 The west wall of the Wills Parlor are the three shuttered windows facing the town square (Diamond). To go into the parlor, visitors would enter the front entrance on York Street… This view was taken facing southeast at approximately 1:30 PM on Tuesday, February 17, 2009. Here’s an interior view of the front door. Visitors would then turn to their right or west(our left in this view)… This view was taken facing northwest at approximately 4:15 PM on Wednesday, February 18, 2009. … and enter the Wills Parlor. This view was taken facing west at approximately 4:15 PM on Wednesday, February 18, 2009. 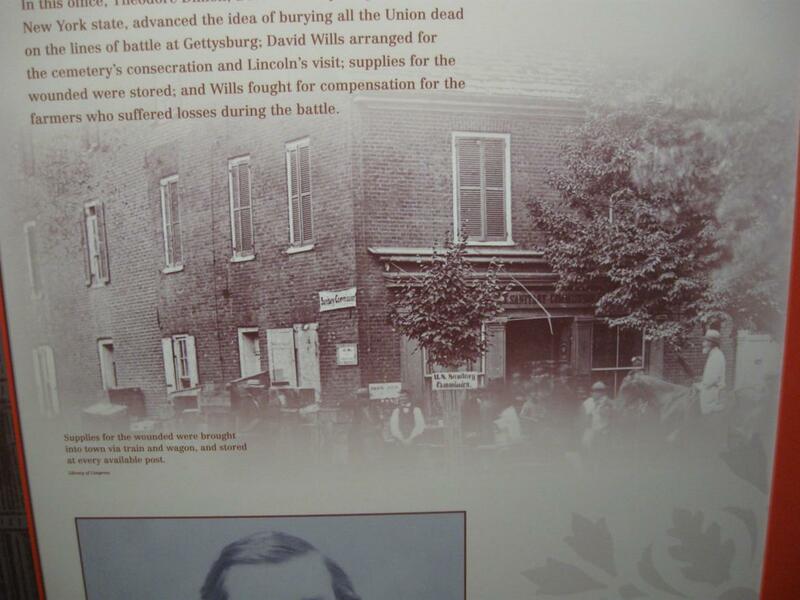 President Lincoln was positioned near the fireplace in at least one account. This view was taken facing southwest at approximately 4:15 PM on Wednesday, February 18, 2009. 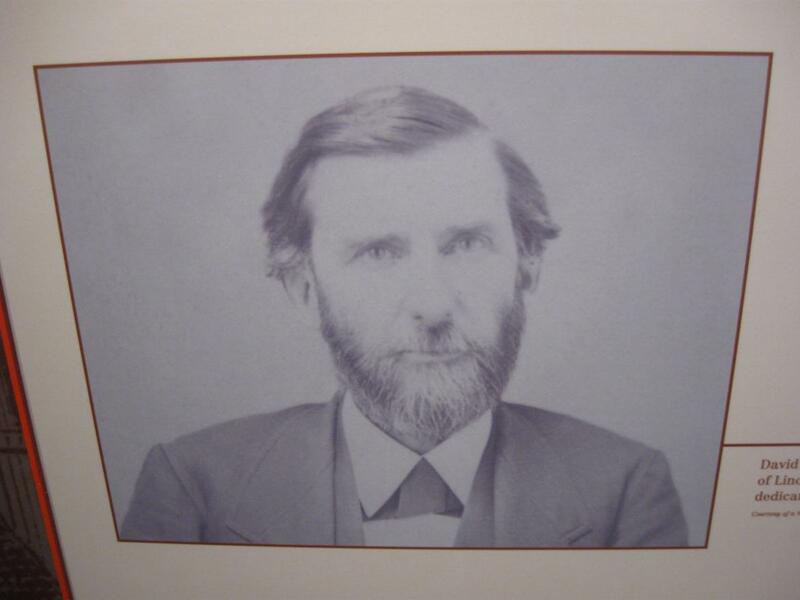 Sarah Cook was nineteen years old when she met President Lincoln. She later wrote that it was “in the parlor of Judge David Wills in Gettysburg that I shook the hand of President Lincoln. He was so tall that he stooped to take my hand, which seemed so small in his. Silently, he smiled down upon me.” This view was taken facing southwest at approximately 4:15 PM on Wednesday, February 18, 2009. 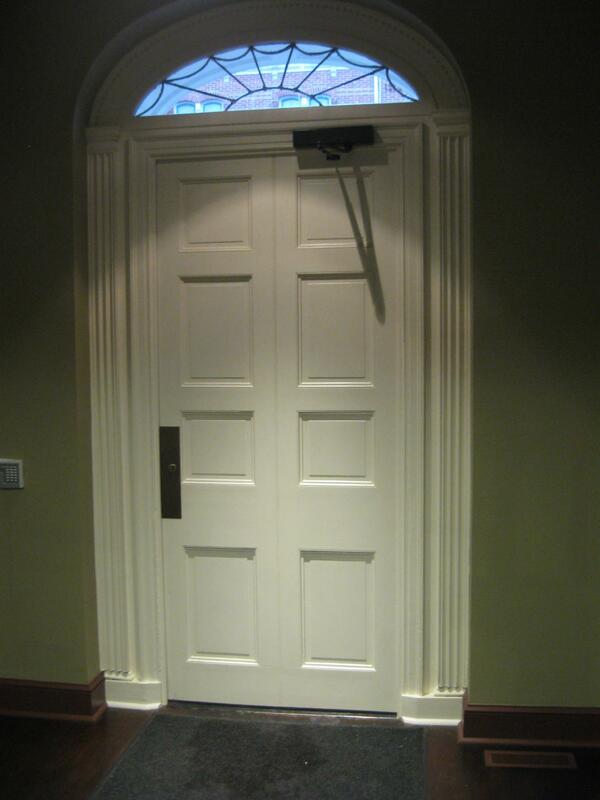 In our next post we will move through the door on the right to the office of Judge David Wills. This view was taken facing south at approximately 4:15 PM on Wednesday, February 18, 2009. This is an interior view of the office. The door on the right leads into the parlor. The door on the left exited to the Town Square/Circle/Diamond. This view was taken facing west at approximately 4:15 PM on Wednesday, February 18, 2009. This is the west side of the Wills House. 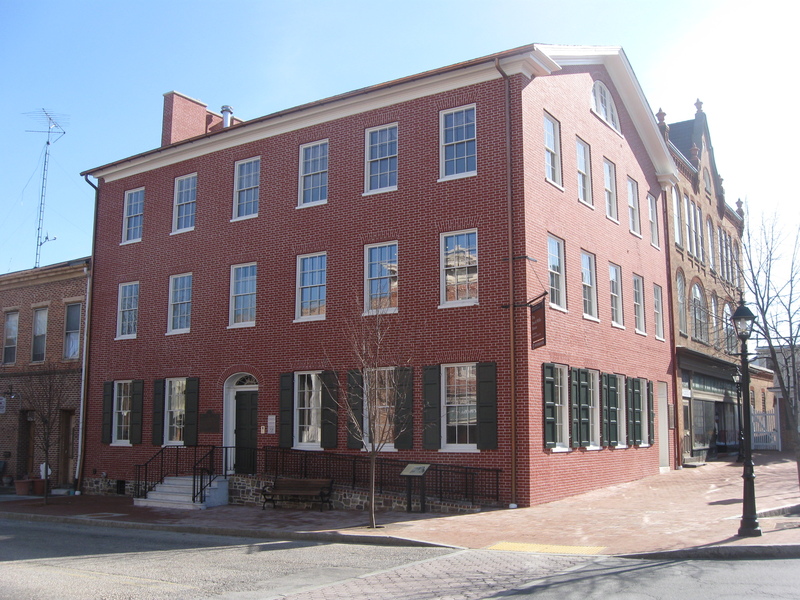 The three windows with shutters on the left (north) side of the structure belong to the parlor. The window with shutters to the left of the door is to the office of Judge Wills. Visitors seeing Judge Wills on business would enter or exit the door to the right of that window in front of the statue to Lincoln and “Perry Como.” This view was taken facing northeast at approximately 1:30 PM on Tuesday, February 17, 2009. Gettysburg’s Wills House Parlor: The West Wall on April 23, 2009. 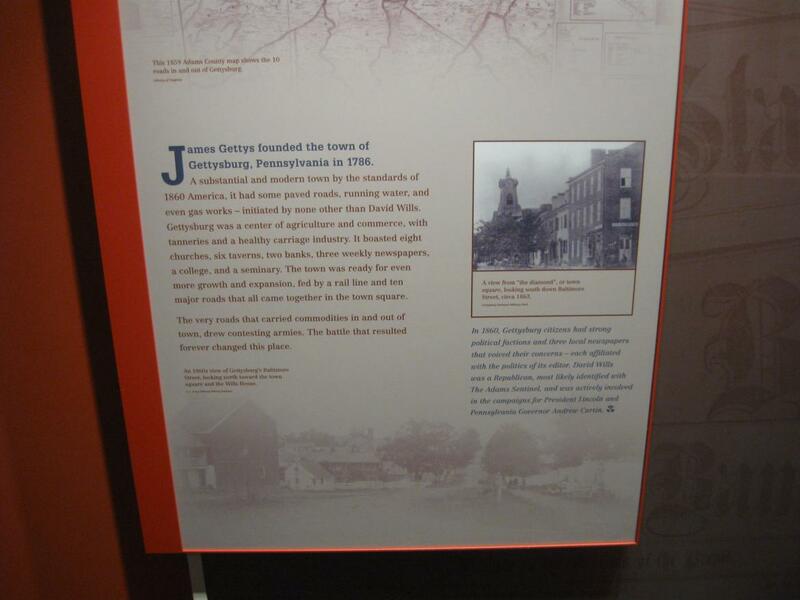 Gettysburg’s Wills House: The Other Middle Display on March 19, 2009. Gettysburg’s Wills House: The Misleading, Mislabeled Diorama on March 10, 2009. Gettysburg’s Wills House: Wills Parlor North Wall on March 7, 2009. Gettysburg’s Wills House: Wills Parlor East Wall on March 2, 2009. 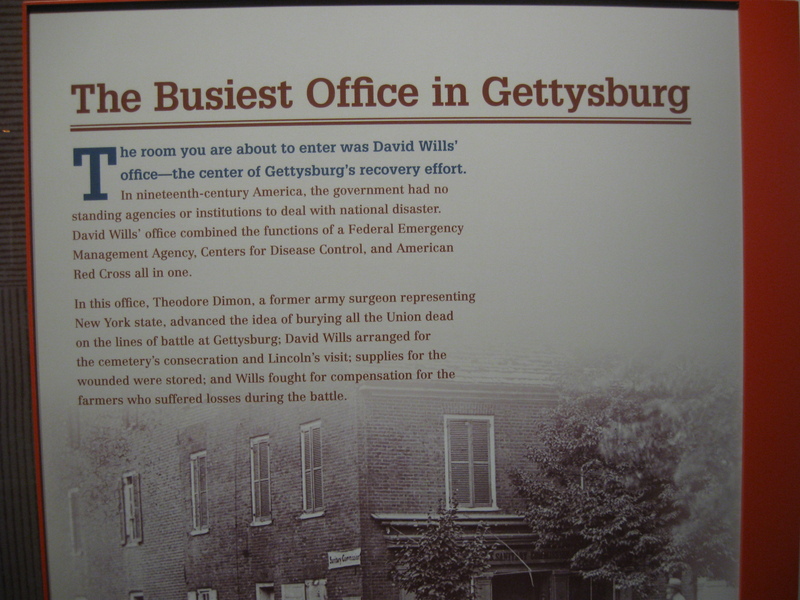 Gettysburg’s Wills House: Entrance and Ticketing Information Area on February 20, 2009. Gettysburg’s Wills House: Another Exterior View on February 18, 2009. Abraham Lincoln at Gettysburg, November 18, 1863: 145 Years Ago This Evening on November 18, 2008.